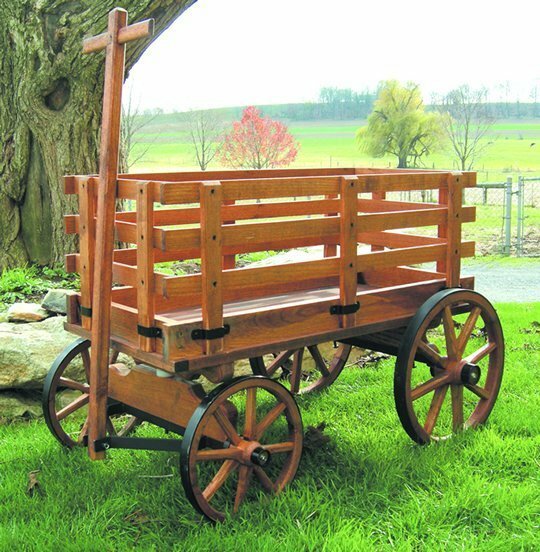 With solid ash construction and a poplar base, this exceptional wooden express wagon brings the perfect look to garden displays of any kind. Each piece is handcrafted by expert Amish woodworkers in Pennsylvania, guaranteeing years and years of wonderful displays and garden fun. The metal braces included in this design add extra support to the piece. Choose from a rainbow of colors to find your perfect fit. If you have any questions, please don't hesitate to get in touch - we would love to hear from you! Height from Floor to Top of Bed: 23"
Wagon Bed Width: 24 1/2"